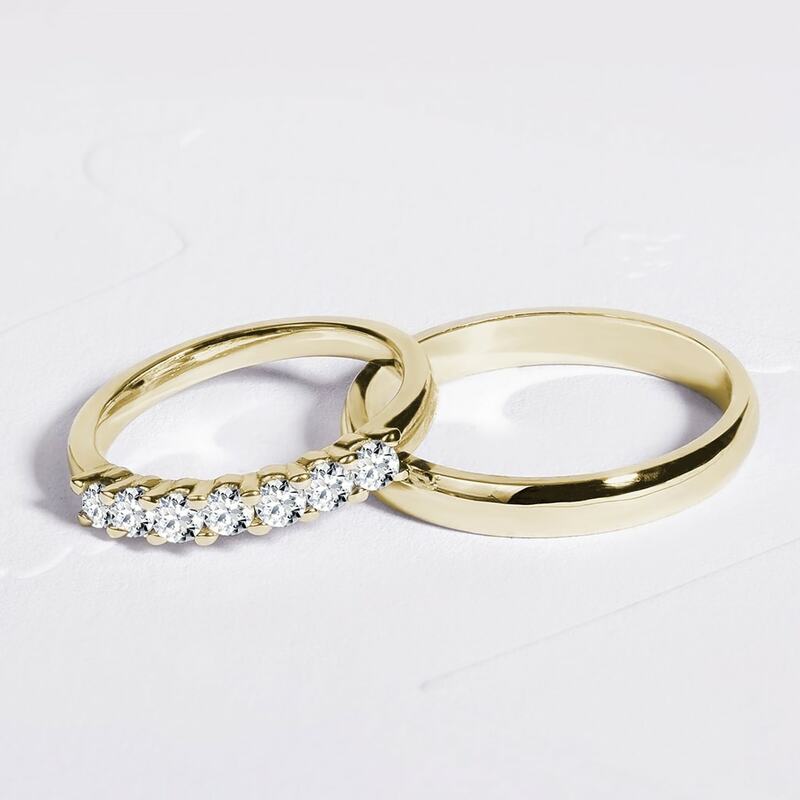 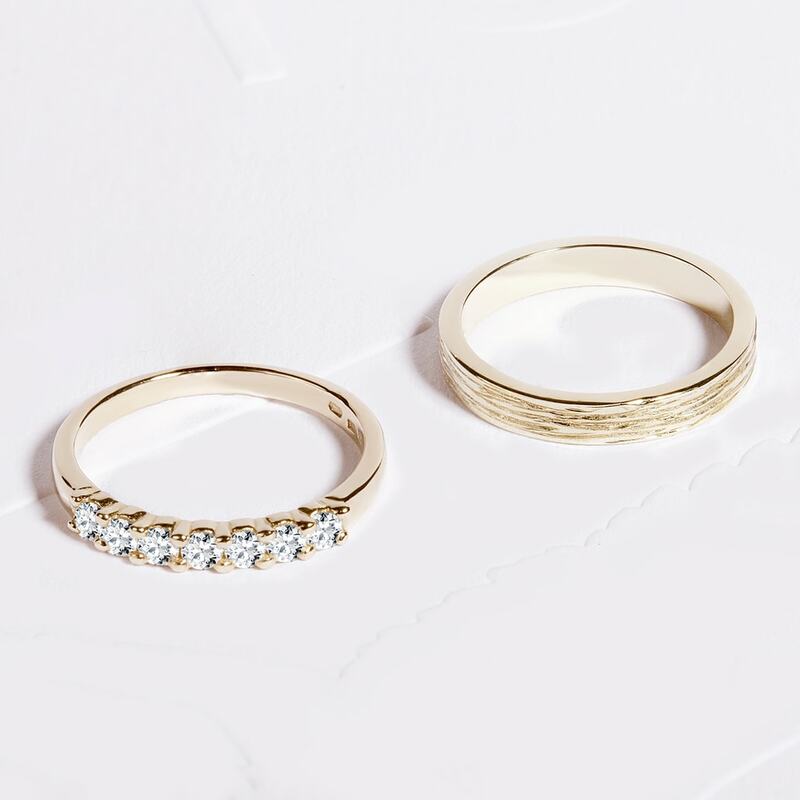 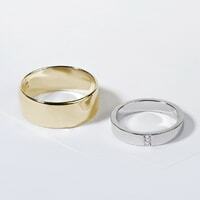 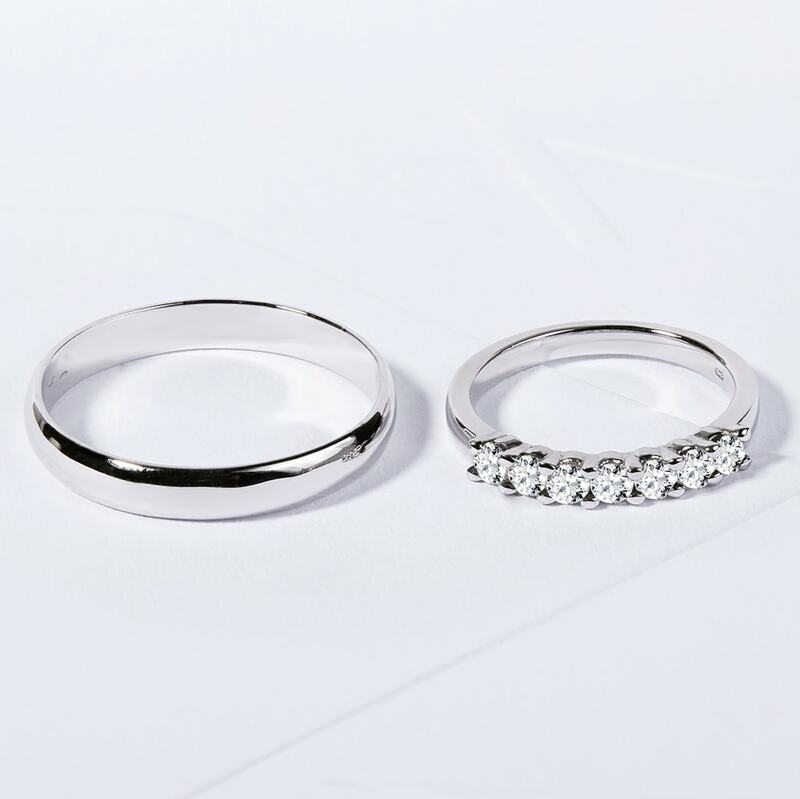 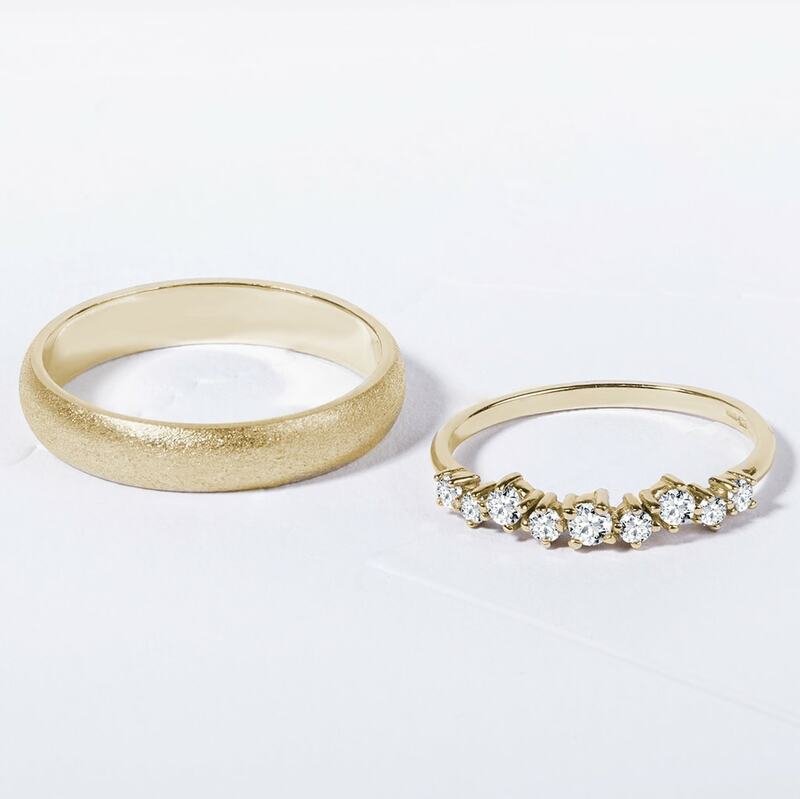 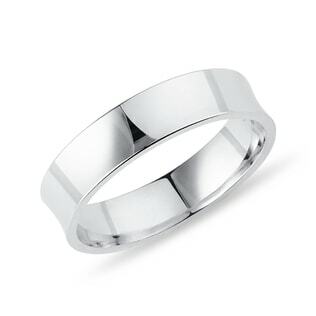 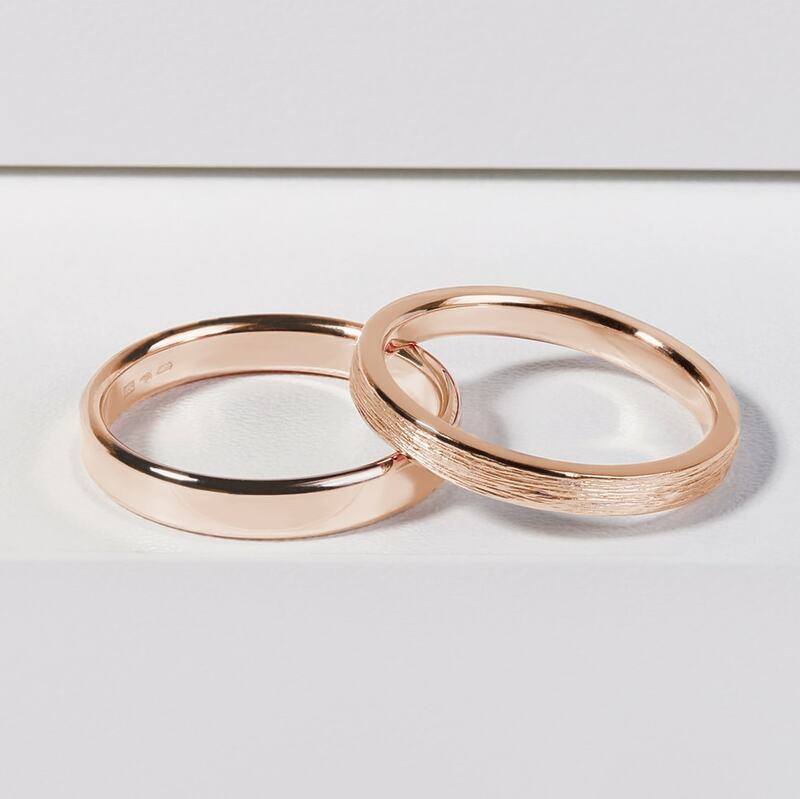 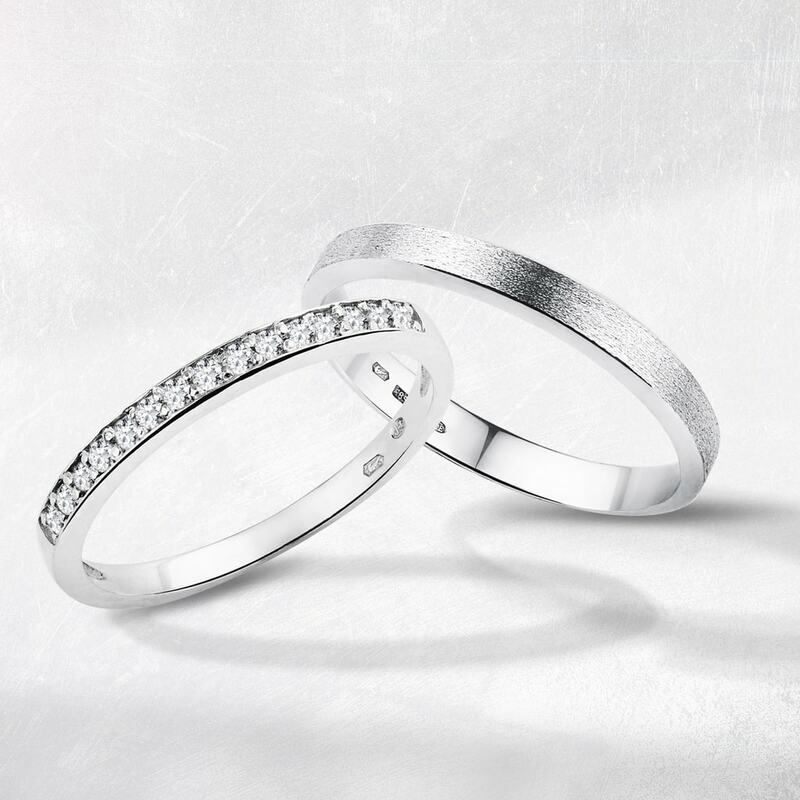 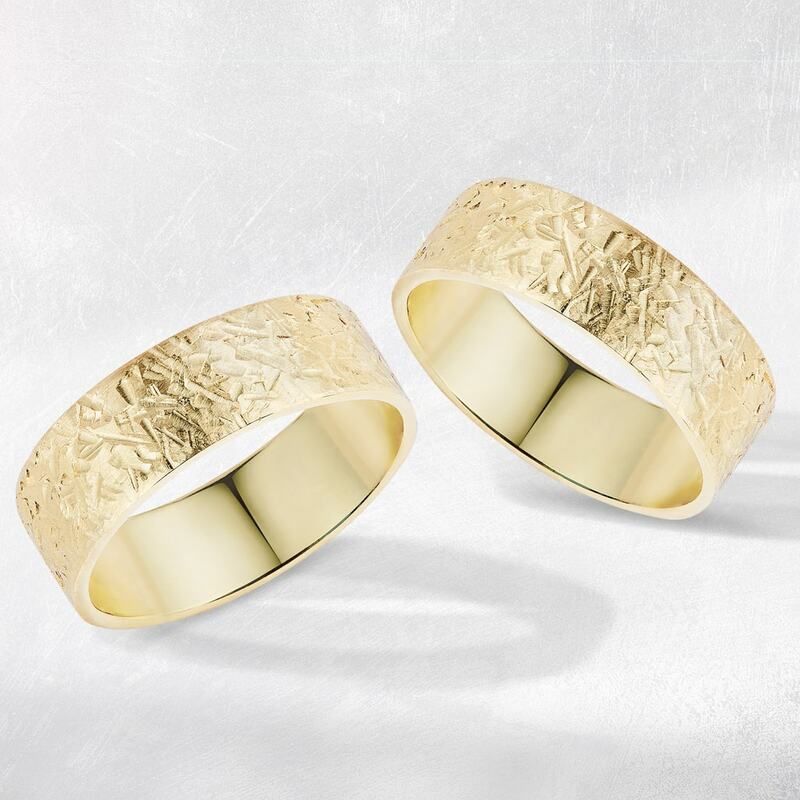 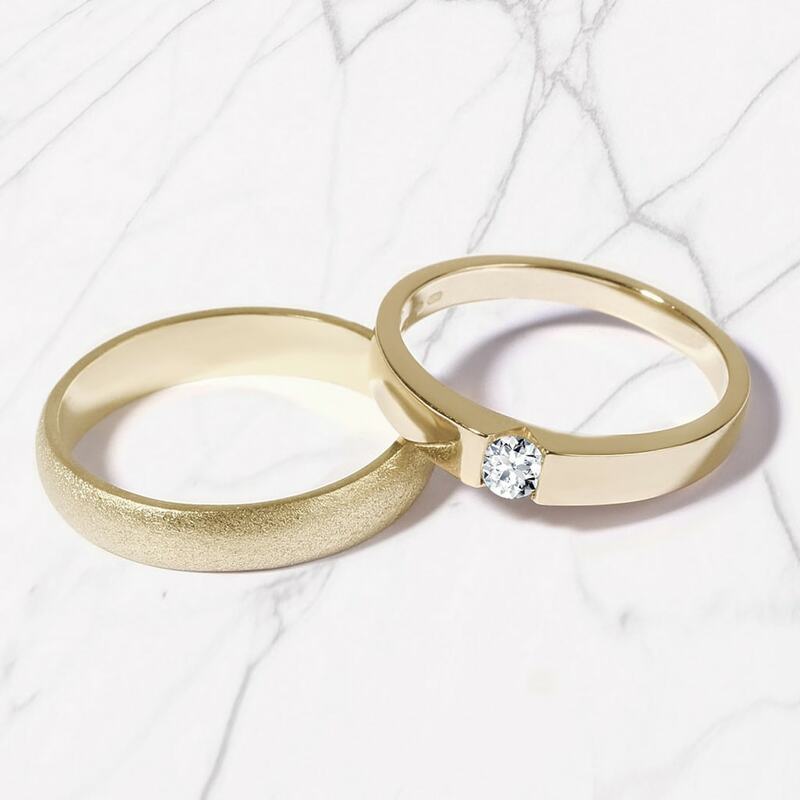 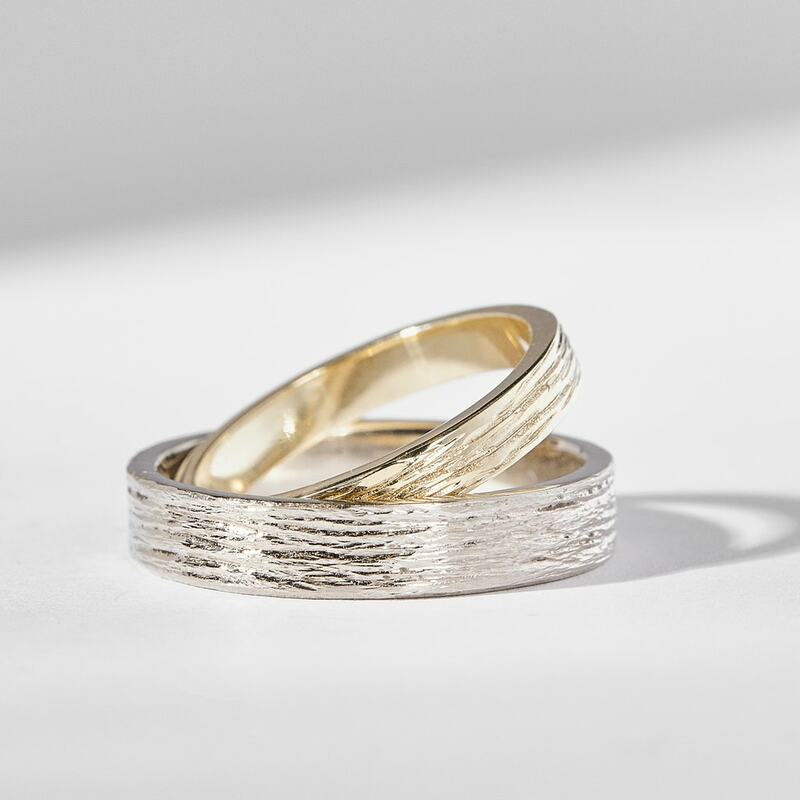 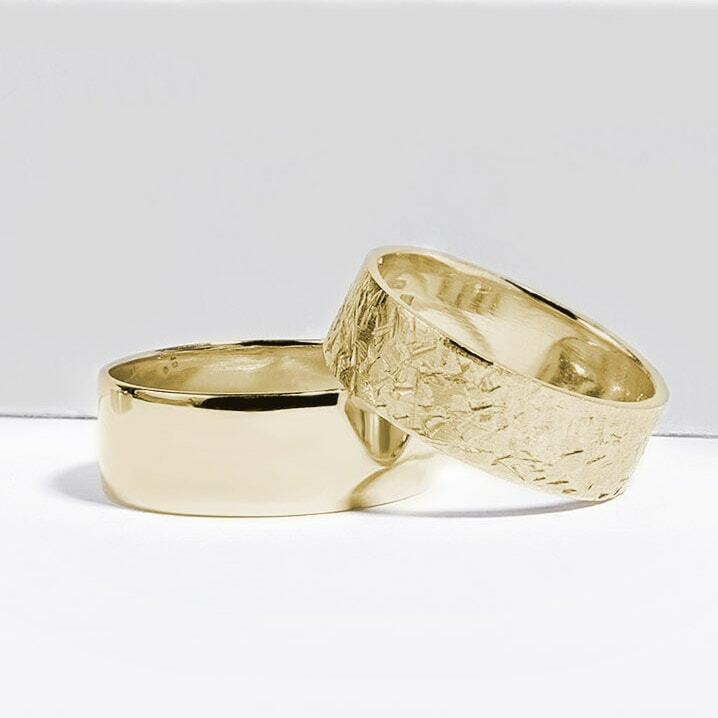 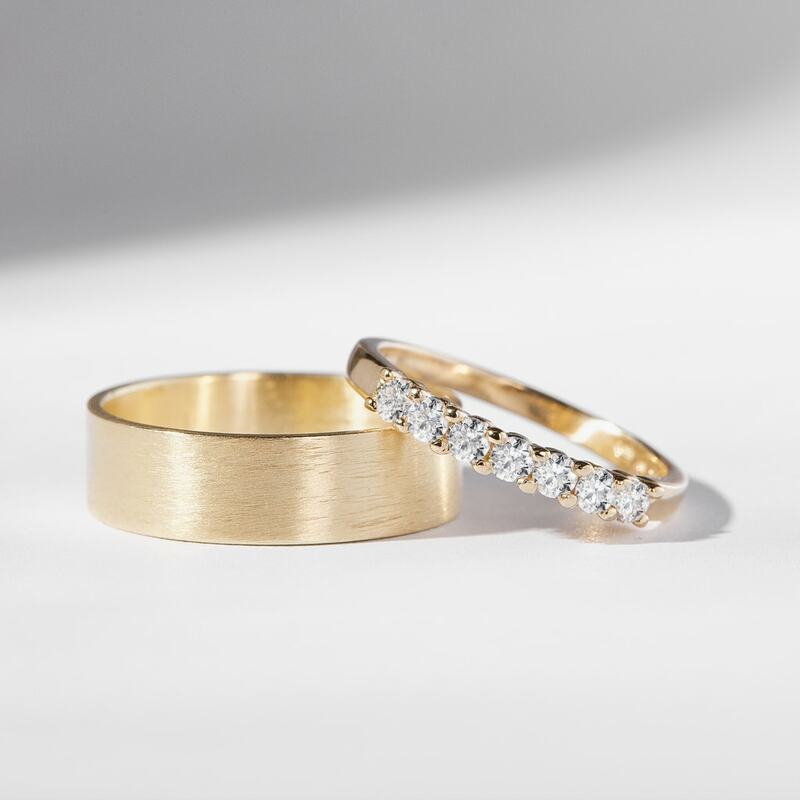 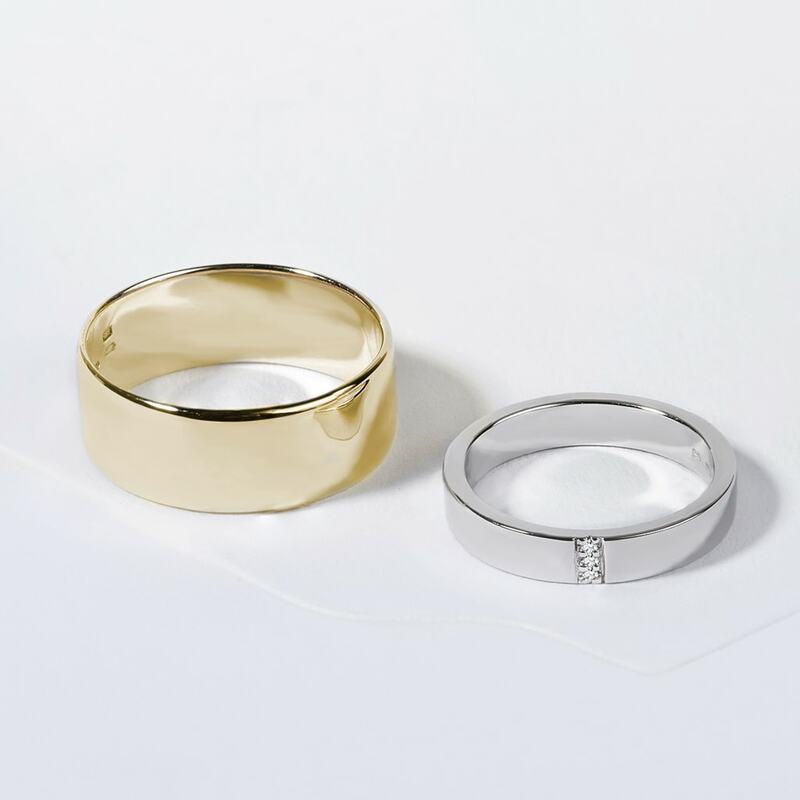 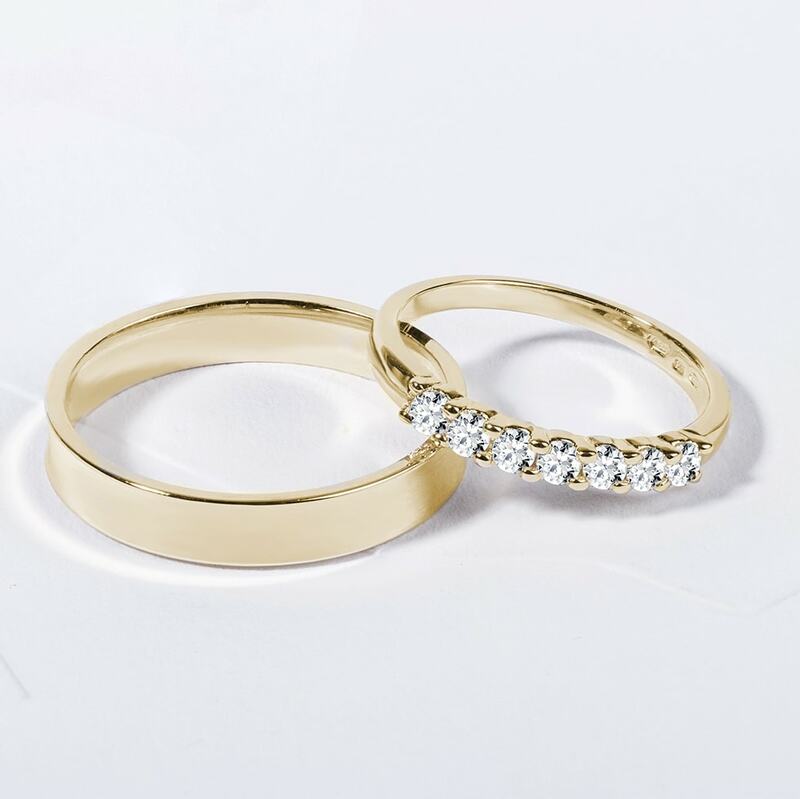 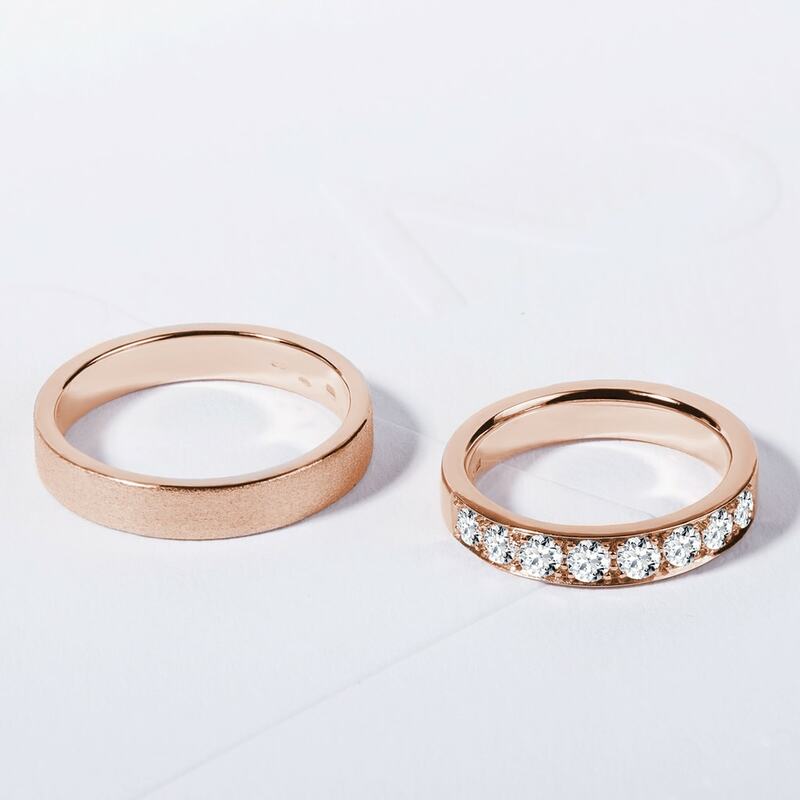 The wedding is getting closer, you’re starting to shop for your wedding bands, but maybe you’re not sure what style you’re looking for… Get inspired by our photos of original KLENOTA wedding rings. 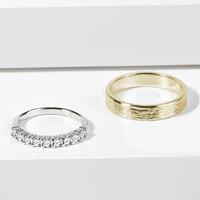 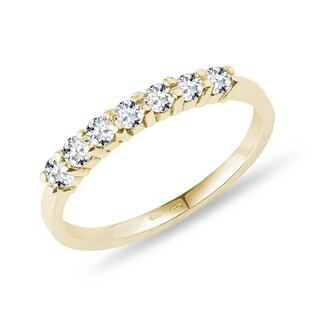 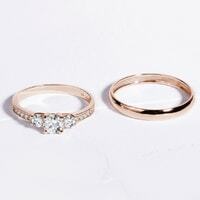 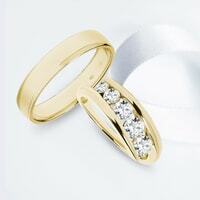 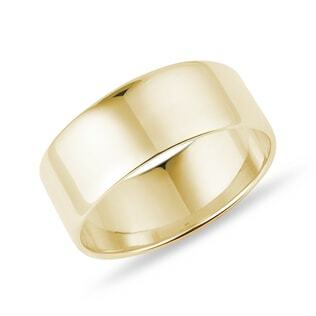 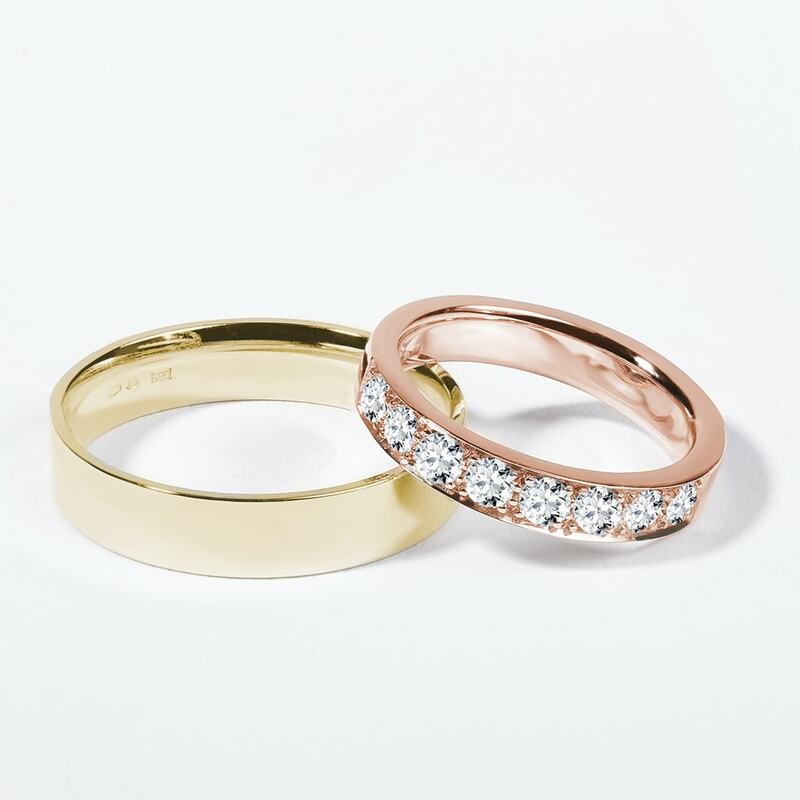 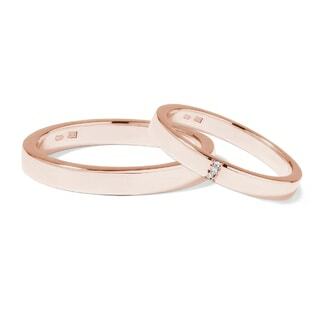 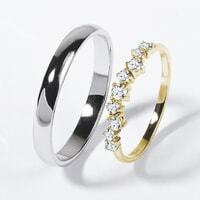 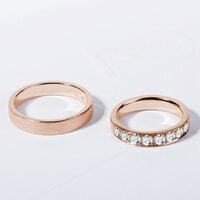 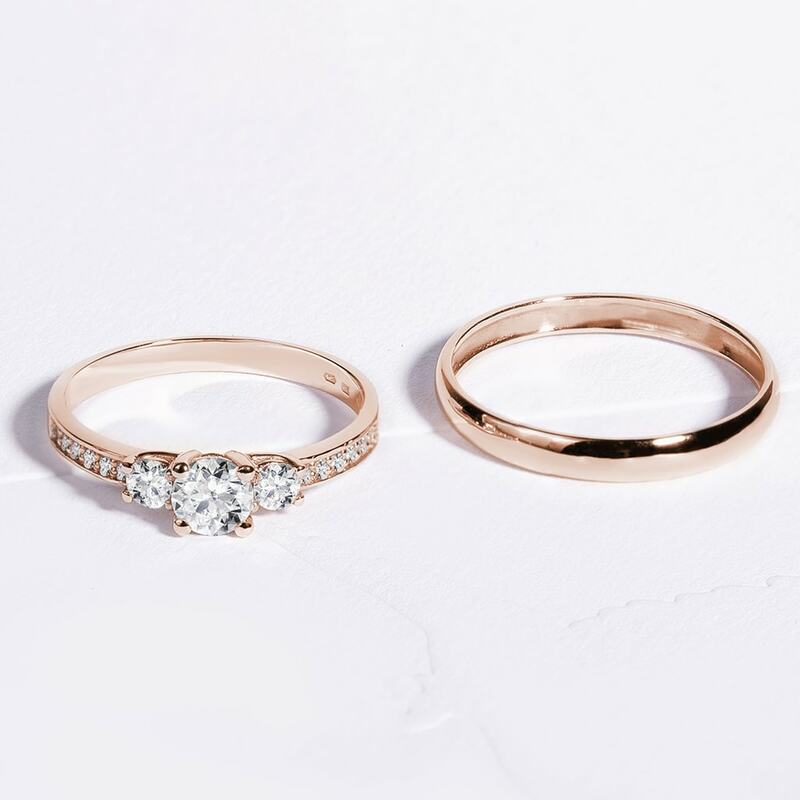 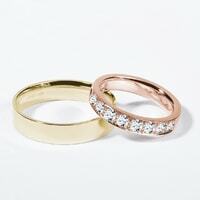 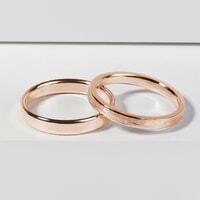 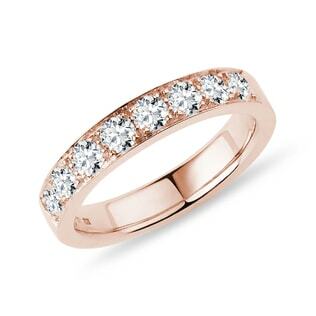 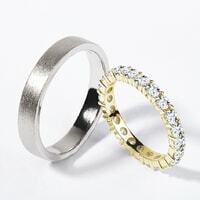 Here you’ll find the most popular rings and wedding sets in white, yellow, and rose gold and even multicolored combinations. 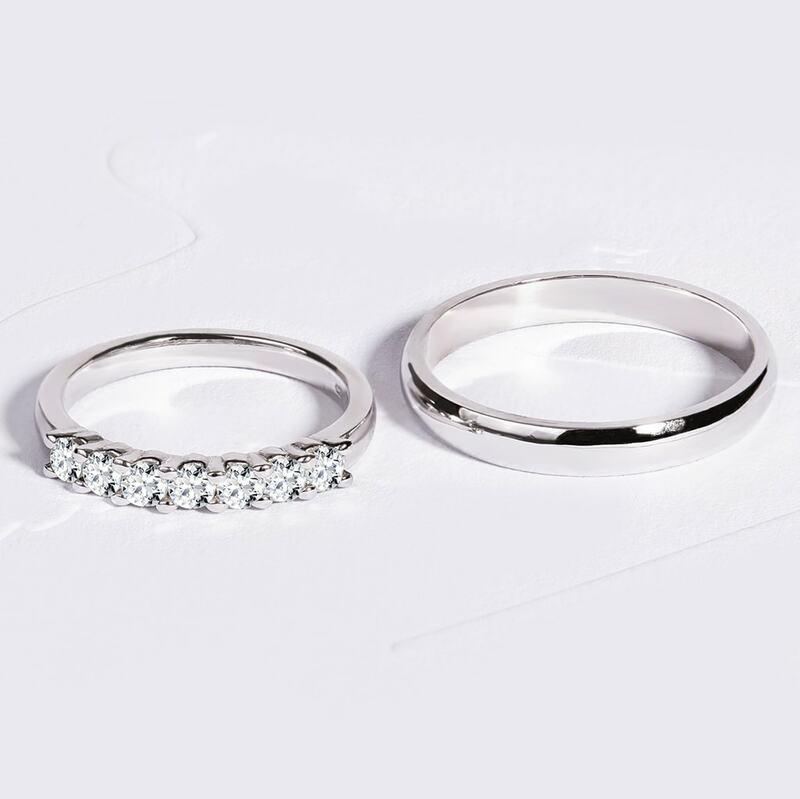 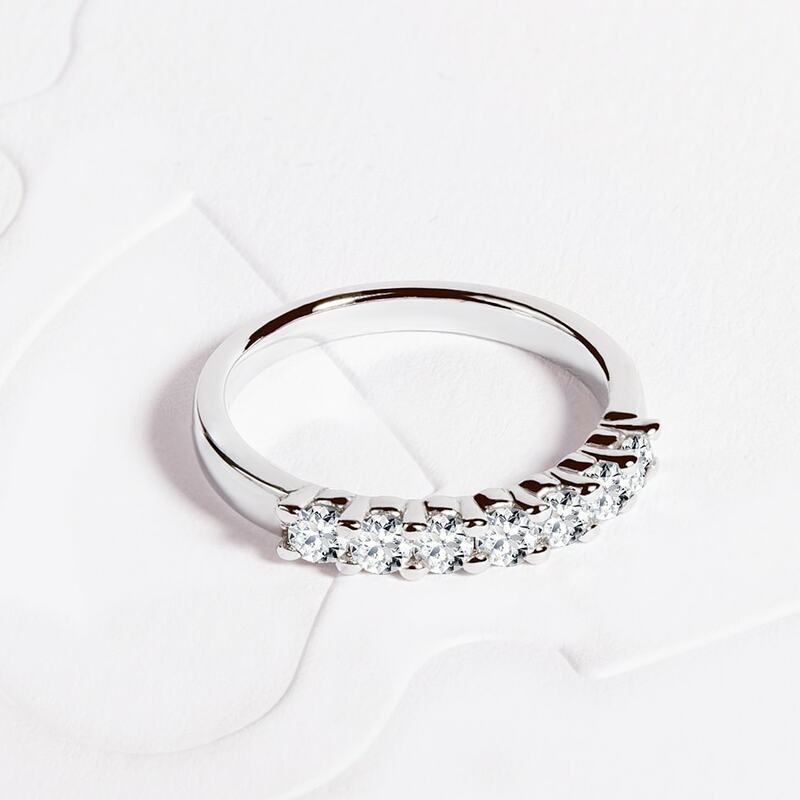 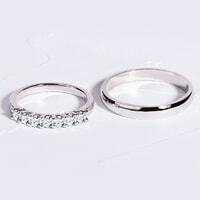 Men's rings are all about comfort and durability, while our women's rings are more luxurious and often sparkle with diamonds. 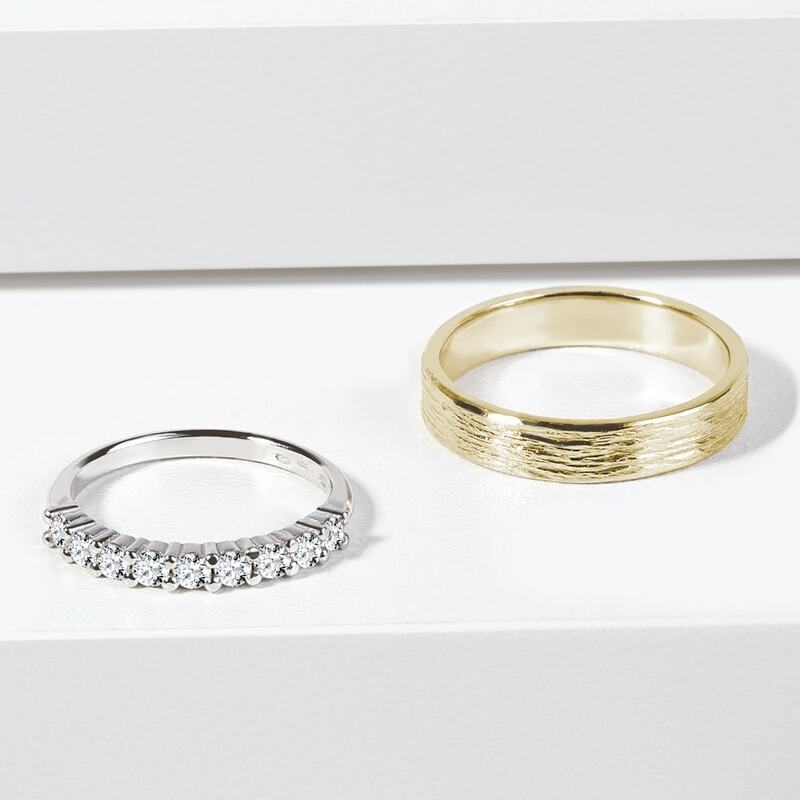 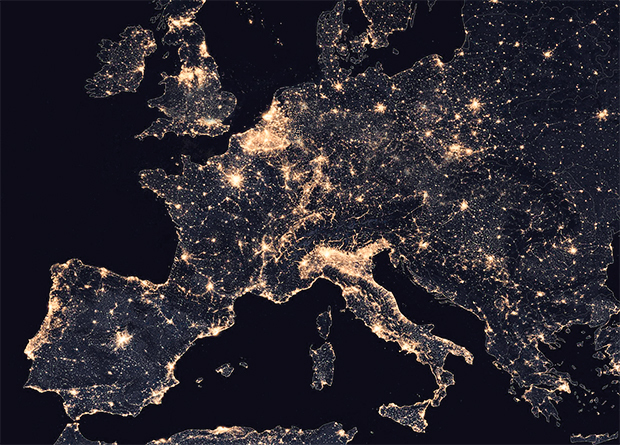 If you still can’t decide, just let us know and we’ll be happy to answer your questions and help you choose.